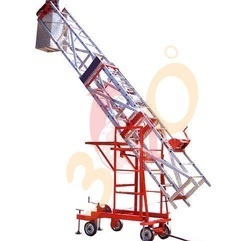 Offering you a complete choice of products which include Ladder Rental Services such as Aluminium Ladders Rental Services, Aluminum Tower Ladder Rental Services, Wall Support Ladder Hire, Wall Support Extension Ladder Hire, Self Support Ladder Hire, Self Support Extension Ladder Hire and many more items. 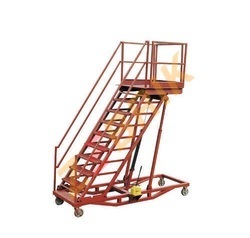 We are offering Mobile Ladder on Hire for rental Services in chennai and supplying our products to all over south India for Rental. Perfect to reach places in the attic or the skylight windows. STEPS: 1” Diameter Aluminium Corrugated tubing spaced at 12” c/c. TOP PLATFORM: 15” x20” app. Aluminium sections. BASE: M.S. channels 4” x 2” of I section. WHEELS: 2 swivel and 2 fixed castors. ROPE: 6mm diameter wire rope. SIDE SUPPORTS: M.S. angle 1.1/2” X 3/16” app. We are one of the most renowned names of the market involved in presenting Cable TV Maintenance Ladder to honored customers. 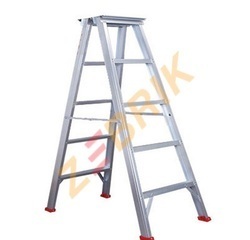 We are counted amongst the reckoned names in the industry, offering wide range of Convertible Aluminium Ladder that are appreciated among the clients for its optimum quality and durable finishing standards. We offer the entire product range is standardized and customized options and are delivered in well-defined time frame. We offer the entire services that suit the budgetary limits of our clients. Furthermore, we offer them at most affordable rates. 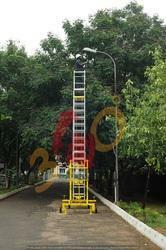 We are a manufacturer of Various Degree Tower Extension Ladder Hire and providing on Hire in Chennai. 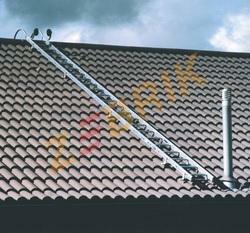 Tiltable Tower ladders are manufactured from high tensile aluminium alloye. Factory Star is designed to suit low passages and overhead obstruction as the star-structure can be tilted in to horizontal positions. Platform fitted with guard rail, tool tray, M.S. Trolley base with a pair of fix wheels and swivel castors , pendulum locks, rope, pulley, safety stoppers etc. 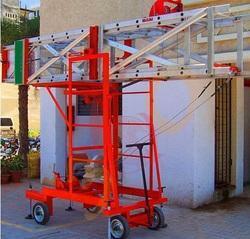 In 3 section fitted with hand operated winch gear machine. 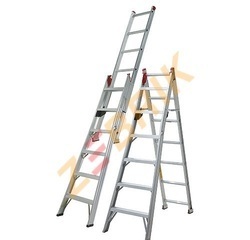 We are offering Aluminium Ladders Rental Services in chennai and supplying our products to all over south India for sale and rental. . With well experience in the same industry we are supplying quality products to our customer. Owing to their distinctive features, these find wide applications in diverse industrial and commercial areas. Further, these are available in customized designs as per varied requirements of clients. 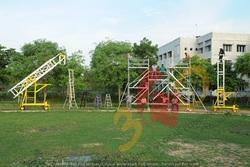 We are offering all kinds of Temporary Stairway Platform Rental Services and it's associated parts in chennai. 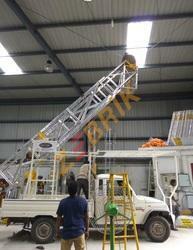 Our Temporary Stairway can be customized based on the customer requirement. 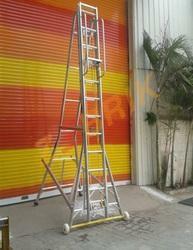 We are a manufacturer of Home Purpose Ladder on Hire and providing on hire in chennai. Leg grip rubber shoes for bottom legs. 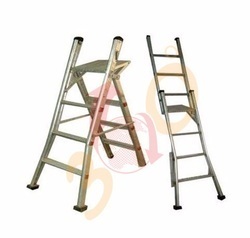 We are offering Aluminium Ladders Rental Services in chennai and supplying our products to all over south India for sale and rental. With well experience in the same industry we are supplying quality products to our customer. Owing to their distinctive features, these find wide applications in diverse industrial and commercial areas. Further, these are available in customized designs as per varied requirements of clients. High quality rubber wheels . 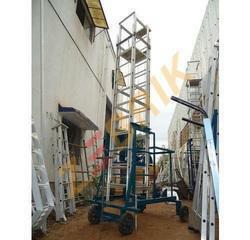 Looking for Ladder Rental Services ?